Homelegance Cleo Storage Ottoman 20 dia x 17 H<br /><br /> Round with removable lid that features button tufted accenting, and supported by slightly flared legs.<br /><br /> You can use it as a footstool or additional seating / storage. 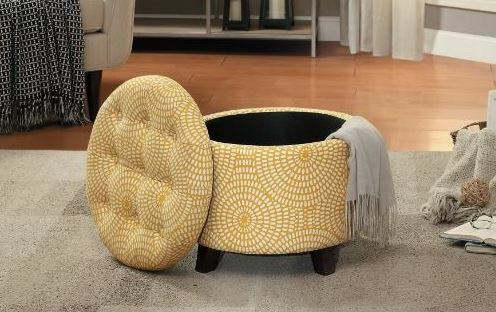 Round with removable lid that features button tufted accenting, and supported by slightly flared legs. You can use it as a footstool or additional seating / storage.